How to squeeze the last of fun from summer? Start with this trio of best fests. Tired of hot dogs and potato chips? Get ready to treat your taste buds. L.A.’s most chef-centric food fest — the Fifth Annual Los Angeles Food and Wine Festival — kicks off tonight. Foodies will want to empty out the piggy bank vault for this four-day dining extravaganza; it’s not cheap but neither is the experience. In addition to fine wines and spirits from around the world, expect fine dining stroll-abouts, dream team collaborations, one-off power lunches and cooking demos from top L.A. chefs as well as visiting chefs from around the country. Root for the home team tonight with Ultimate Bites of L.A.: presented by Lexus and hosted by Curtis Stone (Maude Restaurant) with Special Guest DJ Mike D (Beastie Boys). The walk-around event features bites from Downtown to the Westside, the South Bay to the Valley plus wines and spirits from all over the world. If you ever wanted to try Funkzone or Folly of the Beast wines, tonight’s your chance. Yay James Beard for recognizing boozy excellence! — Saturday night’s grand slam event “Lexus LIVE on Grand” featuring a performance by the Roots as well as 30 chefs plating and 100 wineries pouring. 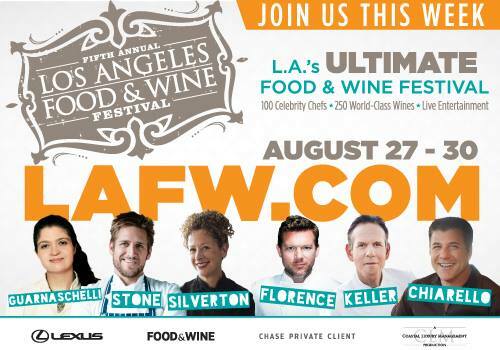 Mortgage the house if you must…..
5TH ANNUAL LOS ANGELES FOOD & WINE FESTIVAL — Thurs, Aug 27 – Sun, Aug 30; various times. $67.50 – $315 — Various venues, DTLA & Hollywood. For tix & more info, go HERE. It’s been a great summer for music in L.A. The end-of-summer is not slacking off. Head to Hollywood on Saturday for the Ascencia Urban Blues Festival: an all-day jam of top-notch national, local, and you’ll-be-glad-you-saw-them-when blues acts. The day-long festival features headliner Walter Trout (Canned Heat, John Mayall’s Bluesbreakers); the guitarist/songwriter, who was near-death last year before a liver transplant, is on tour with his “I’m Back” tour. The legendary bluesman played Royal Albert Hall this past June, receiving three standing ovations. This Saturday, let’s try to match the Brits. Blues heavyweights Arthur Adams and Guitar Shorty further anchor the strong lineup, which includes local faves Little Faith as well as femme powerhouse The Scorch Sisters and Trout’s three sons in the Trout Brothers Band. Rounding out the day-into-evening blues party are The Americans and Jerron “Blind Boy” Paxton; both appear this fall in American Epic: a PBS/BBC special produced by Jack White, Robert Redford, and T Bone Burnett about the birth of modern American music including the blues. Eat well at a clutch of food trucks and feel good that the fest, which is presented by Pacific BMW, benefits Ascencia by bringing awareness and much-needed funding to their core mission of helping raise families, individuals and U.S. veterans out of homelessness. It’s good to feel great about the end of summer. 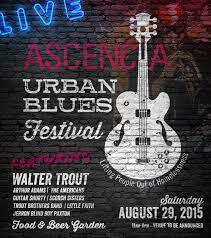 ASCENCIA URBAN BLUES FESTIVAL — Sat, Aug 29; 10am – 8pm $35 online; $40 door. Kids 12 & under FREE — Raleigh Studios, 5300 Melrose, Hollywood 90038. For tix and info, go HERE. *Lyric from “Welcome to the Human Race” by Walter Trout. Grandes Maestros End-of-Exhibit Fest at the Natural History Museum. Haven’t seen Grandes Maestros: Great Masters of Iberoamerican Folk Art, Collection of Fomento Cultural Banamex? This Sunday, combine a musn’t-miss viewing with an end-of-exhibit festival! Get on the bus…or better yet, Metro…and head to the Natural History Museum. 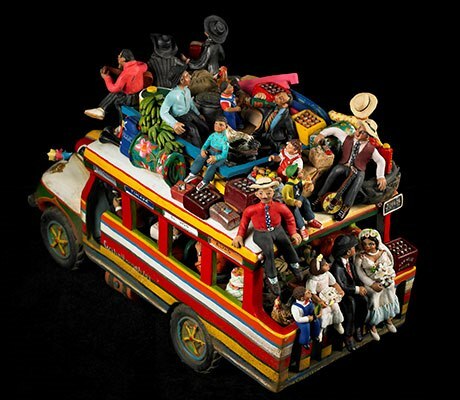 The Grandes Maestros exhibition, which made several “Best of 2014” art show lists, features 1,200+ works of folk art from 22 countries with an emphasis on Mexico, Central and South America, Spain, and Portugal. 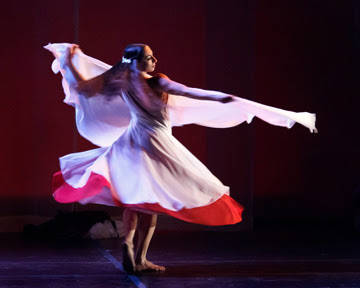 The celebration includes music, such as Ballet Folclorico Do Brasil, and art activities including Talvera Plate Design with Barnsdall Arts and Papel Picado with Self-Help Graphics & Art. It’s never too early to get inspired for your Day of the Dead decorations. GRANDES MAESTROS — Sun, Aug 30; 10am – 4pm. $10 – $20 — Natural History Museum, 900 Exposition Blvd, LA 90007. For tix and more info, go HERE. Previous Post The Weekend Go Go: Innovative Burlesque, Tacos for Good, Hot Jazz + More! Next Post The Weekend Go Go: Ms. Go Go is temporarily gone!